Are you searching for a 10467 Tree Service company? Able Tree Care provides professional tree care and tree services to property owners in ZIP Code 10467. This area of the Bronx is home to so many amazing parks, not to mention the Botanical Gardens and is steps away to the Bronx Zoo! It is also home to ball fields and the Mosholu golf course. ZIP code 10467 is full of amazing trees and outdoor beauty. If you need someone to come and inspect your trees you can contact us 24/7. When you want the best tree service expert in the Bronx or a 10467 Bronx tree service company we are ready to serve you. If you need tree care or emergency tree service in the Bronx ZIP code 10467 our local tree experts will get the job done fast, and safely the first time. 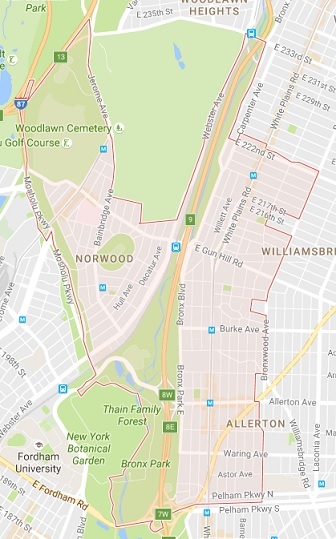 Our company services this area of the Bronx, and we serve many property owners in ZIP code 10467 for all of their tree care needs. Let us show you why we are the #1 tree company in the Bronx. We also provide yearly tree inspection and tree care scheduled services. Our Bronx tree company provides full 10467 tree service to this area of the Bronx. Able Tree Care is ready to serve you when you are looking for the best 10467 tree company and want to work with the #1 local tree service company. We always provide safe and affordable tree services to property owners and want to make you our next satisfied customer. Bronx 10467 property owners have our company in their rolodex, when you need us most we are always a call away. If you own a home in the Bronx 10467 and need any type of tree care or Bronx 10467 tree service please call Able Tree Care 24/7 and we’ll be at your service.